In 2012, My Nguyena mother of two with a background in finance and dreams of becoming a dietitianlogged onto Instagram and started posting photos of meals she was making for her family on a regular basis. Her posts attracted more than 30,000 followers in four months, so she decided to give them more of what they were requesting via a blog titled My Healthy Dish. Two years later, she’d hit the one-million mark in followers and has never looked back! On her blog, My endorses the idea of a whole, healthy lifestyle while embracing a healthy diet. She posts recipes that are simple, delicious, and nutritious. Her approach of taking the dishes we already love and making them healthier with both beloved and new ingredients makes her recipes attractive to anyone looking to go back to the basics, cook more, and choose real foods over processed ones. 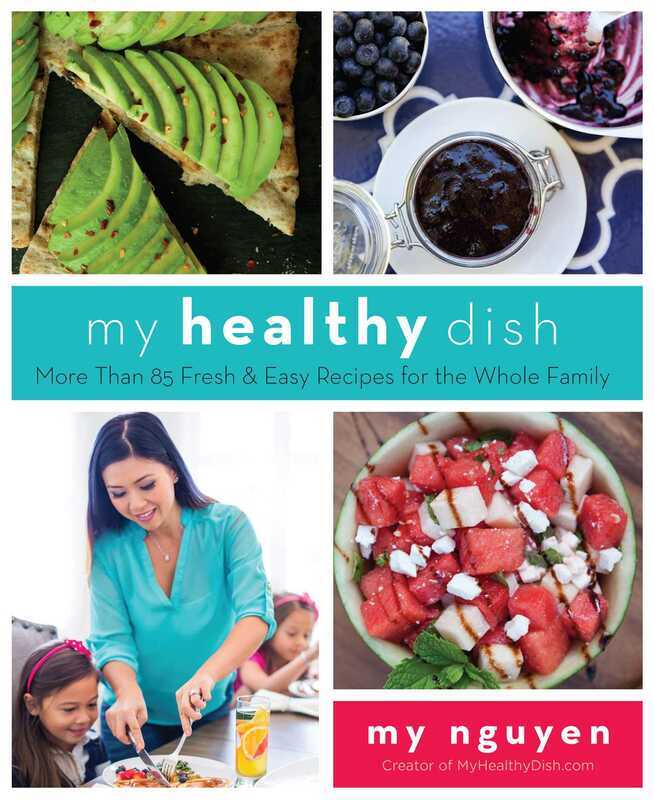 In her first cookbook, My Healthy Dish, My presents more than eighty-five new recipes perfect for any family. These recipes are not only healthy, but also easygreat for the busy parent who may not have hours to devote to menu planning each week. Dishes such as stuffed blueberry pancakes, cauliflower tater tots, chicken tortilla soup, orange coconut cream smoothies, and peanut butter and jelly cookies are sure to please every type of eater. With tips related to quality over quantity and organic versus nonorganic, as well as notes on meal prepping and pages of stunning photos, home cooks will surely fall in love with this collection.